Open House is this Wednesday, December 5th, 2018, at 8:15 am. Preschool-6th grade. After school-care as well as half day, full day, or a mix of both are flexibly offered at Scofield for 3k, 4k, and kindergarten. This is also an Elementary school (1st through 6th grades). Call 214-349-6843 to RSVP for the Open House!! 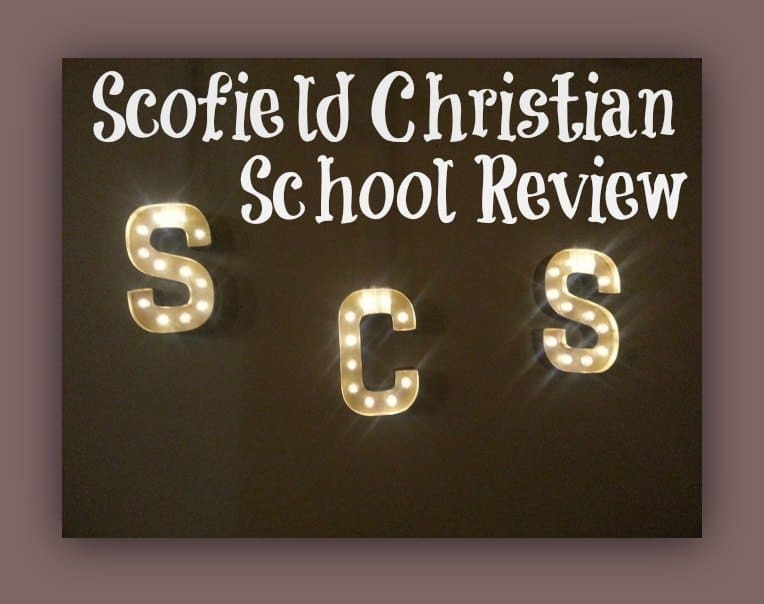 And after you read this School Review for Scofield Christian School YOU will want to tour this school!!! 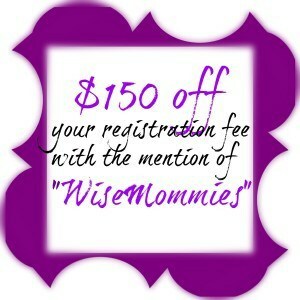 Mention “WiseMommies” and get $150 off your registration fee if you decide to enroll your child anytime at Scofield. Scofield: What I thought would be a great 3k and 4k school for my son has become more than an eye-opening experience for my family. Every time you walk into Scofield Christian School (SCS), you will be greeted in every corner with honestly smiling, kind, positive administrative staff, and teachers, not just the students. That is possibly the most telling litmus test right there. I come from a long line of educators in my family and have learned that the happiness of the teachers and administrators is a good indicator of what is going on deeper within the school, and is a sure marker of its health. As I pull up to Scofield to drop my son off during his first week of Kindergarten, I’m still an emotional wreck of mom-weepiness in general yet wrapped in overall peace, as I am dropping my son off at Scofield. My son jumps into the front seat to grab his bag and kiss me goodbye. He also spots some sunglasses and quickly throws them on. As he looks up, we see a bunch of older boys from the upper grades standing there greeting people as they come into the school. They see my son and start laughing. My heart stops; no, I’m not ready to give my child to the cynical world or even just to kindergarten. Then as he gets out of the car the boys start saying with benign, kind intentions, “man that’s the coolest way to start school”;“I wish I had glasses, you don’t have another pair do you?”;“Hey what grade are you in, what’s your name, wow kindergarten…” and I watched one of the boys walk my son to the front door, pat him on the back and tell him to have a good day. As I watched the door shut to separate my son from me, I felt content knowing there was much more than just books, language, technology, arts, music, and athletics within that school. There was warmth being imbued into the hearts of children. The hardest aspect of writing a post on Scofield is keeping something concise in light of my praise and developed affection for this school. I’ll continue this post by answering the question many ask when trying to decide where to send their child to a school, “Why this school over others?” Beyond my many personal experiences in addition to the example above, I’ll give some school facts. Why this school over others? Small class sizes, purposeful and challenging curriculum, hands-on multi-sensory approach to learning, strong academic fine arts school with an outstanding music and art appreciation, students excel on national standardized tests and alumni’s achievements are tracked to encourage and reinforce Scofield’s attainment. Scofield fosters an environment encouraging every child to be who they can be, improve upon that, developing the whole person. From arts to academics, from faith to emotional intelligence, the school is a flourishing well-rounded educational atmosphere allowing children the opportunity to safely mature, be themselves, and travel a path leading to a more rounded possibility of success and lifelong happiness. Scofield harbors an environment for kids to learn emotional intelligence which is considered by many to be more important than IQ. 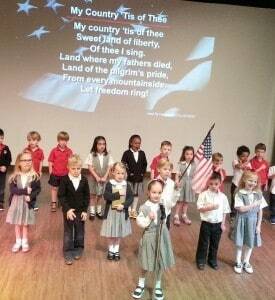 School Review Scofield Christian School : Scofield has the most amazing event for Veterns Day. Unfortunately, most public schools and even pre-schools are overrun and outnumbered because of the kids-to-teacher ratio, pressure of school district evaluations and comparisons, and even most private schools are only academically and art driven but Scofield’s additional incorporation of strong spiritual foundation incorporates the growth of emotional intelligence. At Scofield, through self and social awareness, students are led by example and directly facilitated on how to be aware of their own emotions, accurately assess who they are as an individual, build self-confidence and are taught how to have empathy and service others. Children are taught how to self-regulate through self-control, trustworthiness, conscientiousness about themselves and the world around them and they are adaptable. Scofield students are also taught self-motivation. Finally, talking to children at Scofield in the upper grades, you will have the uncanny experience of talking to a mature adult. The social skills through leadership roles and cooperation tasks have given them the emotional intelligence to communicate effectively. 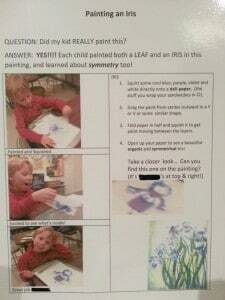 Will Scofield turn your kids into Einstein? No, that would be an empty promise, but they will bring out your child’s potential. From academics to emotional intelligence, teachers track, record and update caregivers on their child’s progress or insight on how they can improve. Parents are kept informed on what their child is expected to learn during the year along with curriculum descriptions and information. 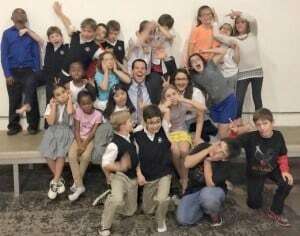 Scofield emphasizes Science, Technology, Engineering, and Mathematics (STEM) adoption in its curriculum and has several STEM-specific activities such as a pre-engineering Lego club and Chess club. 75% of the 4th to 6th grade students qualified for the Duke University Talent Identification Program. Four participants advanced to the Area Math Olympics, in which SCS earned two superior ribbons, one of which placed third, and one excellent ribbon in computation, and one excellent ribbon in reasoning. Five of the top ten in Lake Highlands High School graduating class, 2016, went to Scofield, including top #1 graduate. Eight Scofield Christian School alumni were recently inducted into the Lake Highlands High School (LHHS) National Honor Society. Given the small class sizes at Scofield, to have 11% of the LHHS National Honor Society members SCS graduates speaks volumes regarding Scofield’s academics. An RISD 2016 National Merit Semifinalist is also a SCS alumni. And in 2013, of the 700 freshmen at the Lake Highlands’ Freshmen Center, 6 of the top 10 grade averages belong to SCS alumni. I have such confidence in the school academically, that I feel confident in my son’s education while only attending their strong academic half-day program. Yes, that’s right, if you are like me then you might feel that a full-day of Kindergarten in an American school is too much for many children. Half day, full day, or a mix of both are flexibly offered at Scofield for 3k, 4k, and kindergarten. Half days are from 8am-11:30 am and can be followed by a half day of enrichment 11:30-3:30 pm. The choice of two days, three days or five days a week are offered for 3k and 4k. There are after-school care and after-school programs such as a Lego and robotic club, piano, and a dance club. Adding a full day or after-school care is always available. I have found Scofield to be wonderful at working with parents to meet your child’s individual needs. Beginning in 3k and 4k students are given the opportunity to start learning Spanish as one of the afternoon enrichment classes. 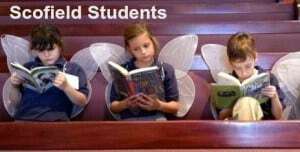 Kindergarten to 6th grade everyone attends Spanish class. The physical exercise curriculum is abundant at Scofield. In addition to kids having time outside for unstructured playtime, 25-30 minutes, through daily recesses, snack time is often outside and there is an organized physical education class four times a week (excluding Chapel day). Cursive at Scofield Channel 8 News featured Scofield’s cursive being taught…more info in the link above! Scofield has a very strong music and art program. This is seen through their musical programs, performances and art exhibits throughout the year. Music Highlights for SCS Alumni: Currently seven SCS alums were in last year’s LHHS musical production, “Kiss Me, Kate”, two of which played the lead. 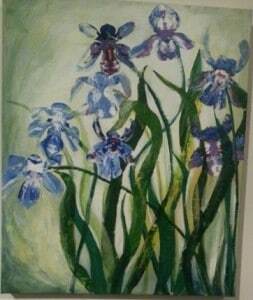 Art Highlights for current SCS students: Three Scofield Christian School Students win awards for their art. At the ACSI Art Awards Scofield’s students always earn recognition or medals. Last year, Scofield students received thirteen medals:9 Gold, 2 Silver, 3 Bronze. Students received 15 Superior Ribbons and 24 Excellent Ribbons. In 2015 three students won awards at area art competitions: first place award at The State Fair of Texas’ Creative Arts competition in the Children’s Designer/Craftsman contest; honorable mention award at The State Fair of Texas’ Creative Arts competition in the Children’s Shoebox Float contest and first prize in the Nasher Sculpture Center “Make your Mark” city-wide summer art bookmark contest. Every Wednesday morning, for 30-45 minutes, all students and teachers come together for Chapel. I love this element at Scofield. Chapel is a time used to promote community and moral development. Family members are always welcome. 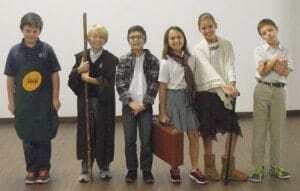 Classes from 3k to 6th grade take turns leading chapel either in performing a skit, singing, dancing or speaking. Outside guests come to Scofield and Chapel to speak. This October, Michelle Carter, USA Olympian, lead chapel with her story and journey as a Christian athlete. Tony Evans will be the special guest speaker for the annual fund dinner and Johnny Quinn was the speaker last year. Well-known authors such as Dave Gustaveson and Karol Ladd have given writing workshops for children and spoken at parent workshops. Additionally, Scofield has an environmental center, and each class has their own outside garden to care for. Scofield recently won the Bubble life contest for Best school in LH. Hot lunches are offered and catered fresh daily and parents and or kids can choose their own lunch menu from an assortment of 5-10 different healthy lunch items.Lunches are not rushed and students usually enjoy at least one of their two snack breaks, in addition to lunch, outside in the elements of fresh air with additional time to run and play. Scofield’s 3k and 4k program is much more than just childcare. 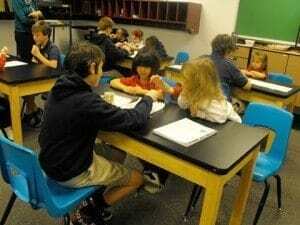 Its elementary school is more than a place for your child to spend the day. Scofield is a home away from home, extending all your love and hopes while adding the best academically to your child. They understand that developing all areas and skills in children is essential to helping them reach their God-given potential. Finally, don’t just take my word for it, call 214-349-6843 to schedule a school tour. 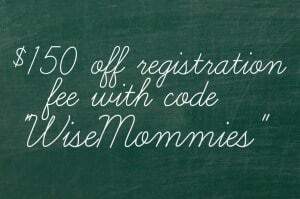 Don’t forget to use the discount code “WiseMommies” and get $150 off your registration fee if you decide to enroll your child anytime at Scofield. Open House is this Wednesday, December 5th, 2018, at 8:15 am. Registration is open for 2018-2019 school year! I could not agree more. You have covered everything. We are so pleased and blessed by Scofield! I Am also impressed with they way they teach biblical truth and concepts. Gianna is always talking about the things she has learned. I am so glad for this early foundation! Thank you for your feedback Brandy! The early foundation acquired at Scofield is amazing!